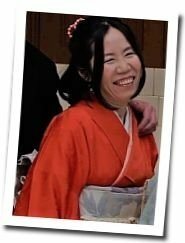 I am a Japanese national who has completed two Japanese language beginners courses (60 weeks and 20 weeks respectively) as a CACTUS language instructor at colleges based in central Liverpool and Manchester. In keeping with my professional status, I am adept at recognising how best to target my teaching approach, particularly with respect to students who have little or no knowledge of the Japanese language. In a formal course review exercise, I have received an excellent rating from my college studentsand business individuals (such as an NGO director and a company director) with respect to the various teaching components of the course. I also offer my students the advice and guidance for travel matters in Japan and exam/qualification preparations (the Japanese language Proficiency Test, for example). I am fluent in verbal and written English and Japanese. My teaching experience also includes 18 months as an English language instructor to college students in Japan, in one-to-one, and group teaching as an employee at a language school. In addition, I was employed within the Japanese university sector as a translator of English to Japanese and vice versa. I therefore have language teaching experience acquired over several years based in the UK and Japan. Teaching for beginners and casual learners for more than 5 years. I am able to provide personal tutoring and group tutoring (such as Sony entertainment groups) as required. I offer Skype teaching and am equipped with HD camera. An approachable and friendly style to engage students in fully comprehending an unfamiliar language. Tuition is provided in verbal and written Japanese using language props as an aid to understanding, with textbooks and specialist Hiragana teaching materials. I have excellent whiteboard writing skills and I am comfortable at teaching in both formal and less formal surroundings. Tuition can be arranged on a regular or irregular timetable according to the needs of the particular student(s). I am willing to travel business settings upon the tutee's requirement. I am inspired by your enthusiasm to learn the Japanese language. I wish you a good luck in learning it further. He is a committed and enthusiatistic sports fan. I wish him and his friend a great holiday in Japan during the Rugby World Cup! Very straight forward, engaging and positively challenging. Akiko-sensei is very helpful in bringing me back into learning Japanese. I would totally recommend her without hesitation! Oliver is an enthusiastic and cultured man. He is interested in the Japanese culture and the art scene. I wish him the best in his endeavour. good tuition for Japanese conversation and grammar. Very flexible with timings. Ken is a very considerate and respectful student. He has studied Japanese language in Japan before and he clearly enjoys learning the language. I hope that I will be able to offer him a consistent learning environment for a student with a demanding work schedule. Akiko san is a very patient teacher who takes time to explain things clearly. She always corrects my mistakes and ensures I use the correct grammar.